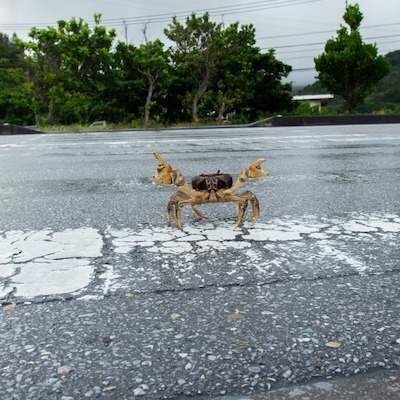 This crab is on a journey. Where they going? Like to make the crab fast, retoot to make the crab faster.